Bathroom flooring is a big part of the bathroom. You want to choose something that is going to go well with the room. Generally, people go with one flooring over another for their own personal reasons. However, when it comes to tile or carpet – which do you choose? Tile is usually the one flooring material that a lot of people choose. Not only is it nice to have in the bathroom, but it is easy to clean and does not become mildew ridden or have mold in it from the excessive moisture. However, tile can have scum in it, which means it needs to be thoroughly cleaned. It also can crack when hard things fall on it as the tiles are made from ceramic. Carpet is a plush, comfortable flooring option for those that want somewhere nice to put their feet. It comes in many different thicknesses and styles, allowing the person to choose which works best with them. 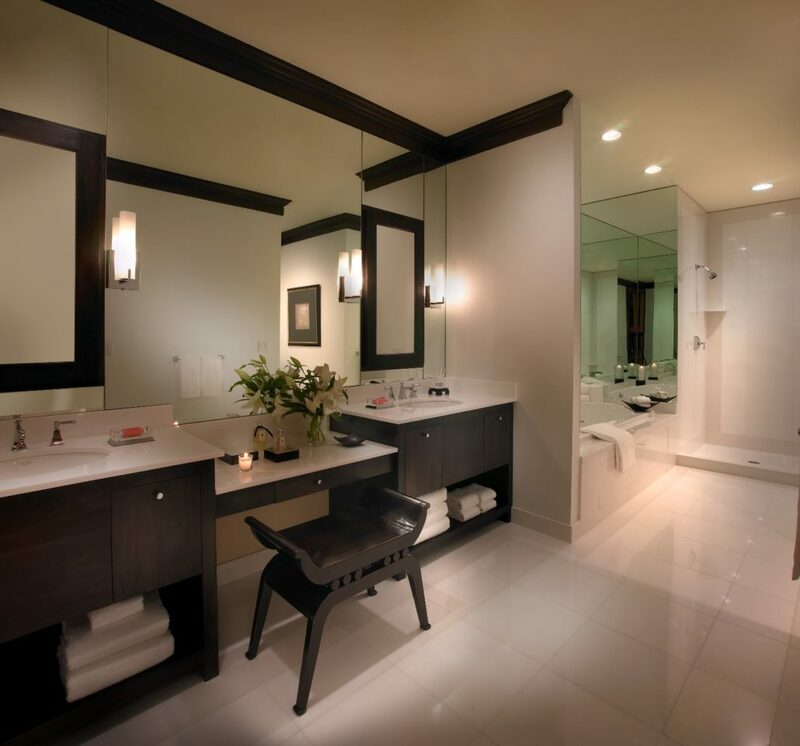 It is harder to clean in a bathroom and since it is material, there may be problems with mold and mildew. With a shampooer, the carpet however can be cleaned. Keep these tips in mind when it comes to choosing the best flooring for your bathroom remodeling project. Find something that is on sale and works with the bathroom remodel you’re doing. Go with what you feel comfortable with and what you like, it is your bathroom! Easy to clean is an ideal way to go when choosing bathroom flooring. Go with something that looks nice with the room. Consider other bathroom flooring options besides tile and carpet. It is ultimately your choice on what bathroom flooring option you go with. You can make the most out of the bathroom remodel when you choose a material that you enjoy. Fill out the form below to get in contact with one of the bathroom remodel contractors! Start your project today!